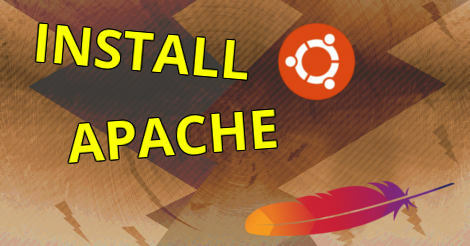 This tutorial shows how to install the Apache HTTP Server from a terminal in Ubuntu or Debian. After following the instructions in this tutorial, you should be able to run a local web server. If you want your web server to be accessible from the internet, more steps are usually needed. For example, if you are behind a router or firewall you may need to open up a port and point it to the IP address of the local server (I.e. 10.0.0.x). It is also a good idea to manually connect your server to the LAN, so that you can maintain a dedicated LAN IP. You can use the apt-get command with sudo. I.e. Running the above command will ask us for our root password, since we are running it with sudo. The install part should be self-explanatory. When it is done installing, you should be able to test if it works by entering http://localhost/ in your browser, a standard Apache page is shown if the server has successfully been installed. The www directory can be used to keep all of your website files. If you are running Apache as a test server, it is usually a good idea to add your own user to the www-data group, and then chmod the permissions of the www directory to 775, as it will allow you to change files without first changing to the root user. The -R flag means recursive, making it also change permissions of subdirectories. To start and stop the server, you can try using the following terminal commands.